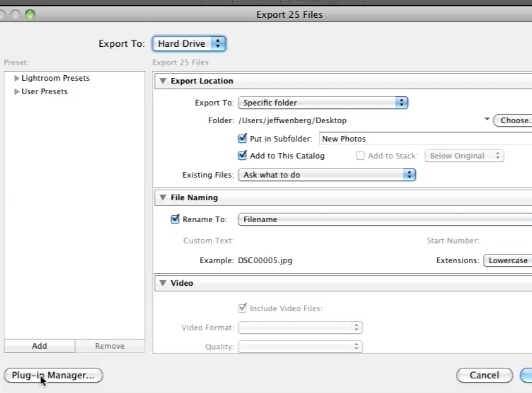 Then Plug-In Manager (in the lower left corner) and make sure its enabled. 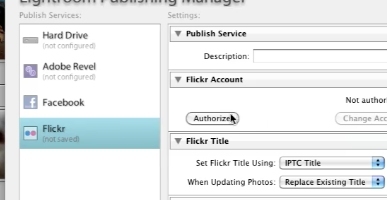 In the leftmost column go to Publish Services, expand and click on “Flickr Set Up”” to open the Lightroom Publishing Manager. 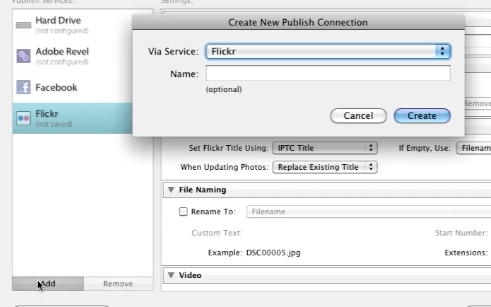 In the Create New Publish Connection window that pops up, click create. Then follow the ensuing steps in the pop-ups that follow. 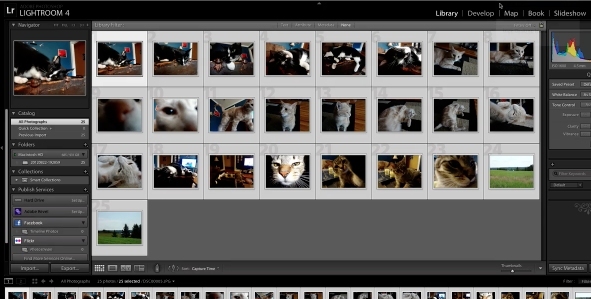 Once you’ve logged in to flickr, and back to Lightroom’s page, fill in the settings, then Save. 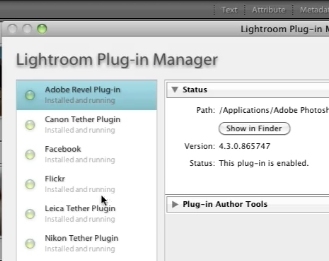 Lightroom will now be authorized on Flickr.